Using keywords is a crucial part of how well you will eventually rank in the search engines and improve your social media marketing and other marketing efforts. A keyword is a word, or words that are the most commonly used word or words that people will use in order to search for products, services or information on the internet. When you use keywords successfully, they will help your business website and social media sites rank higher in the search engines for those specific keywords. 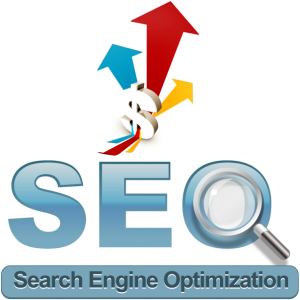 Keyword tips for search engine optimization can help you learn the most effective ways of using them. The first thing that most people using keywords do that is not help for their efforts is to use one word as a keyword. For example if you sell blankets, using “blanket” as your keyword is going to get lost in a sea of literally millions of other “blanket” keyword sites and content. In order to become better exposed, use very specific keywords such as “Pure Wool Blanket” or “Blanket for children”. The more specific you can get with your keywords, the better chances you have of ranking higher for those specific keywords. If you are a local business, using locations in your keywords will be very helpful. For example “Pure Wool Blanket Chicago”. When you have chosen the list of keywords and keyword phrases that have the most relevant definition for your products, services, or content, use them wisely. Having too many keywords on one page of your business website could put you at risk of being penalized by the search engines and your business website might not show up at all in the searches. Too few keywords will not be as effective. The rule of thumb is to use about 3% keywords per page. Including the keywords in the website URL, header tags and meta tags is also helpful. Using a keyword search tool is very helpful to know what the right keyword should be. Ideally, the keyword or keyword phrase should be low to medium competition, with words you know your target market will use to search for your products, services, or information. Using more than one word for a keyword, being very specific, using the right amount of keywords and doing research to find the right keywords will be the most beneficial way to optimize your business website and social media sites. Search engines will find your easier, rank you higher and your potential customers will be able to find your business website before they find your competition.